1863 N Shelby, Mesa, AZ.| MLS# 5910539 | Charlene Malaska, (602) 790-5464, Malaska Real Estate - Your Premier Real Estate Agent for Handling Las Sendas, Mountain Bridge, The Groves and Red Mountain Ranch. I also can help with your Real Estate needs in Mesa, Gilbert and Scottsdale! Welcome home to this stunning single level, highly upgraded home backing to lg wash. Welcoming courtyard entry. Iron screen doors. Enter into an open floor plan concept. Great room w/ huge windows open to gourmet kitchen. Custom cabinets, granite, built in fridge, gas cook top, tile back splash w/ elegant dining area. Custom window treatments.Private office w/ full custom desk & shelving. Private master suite w/ exit to BY. Master bath w/ duel vanities, 2 walk in closets & sep shower / tub. 3 other bedrooms have full wing. One bedroom full on suite w/ bath & walk in closet. 3 car garage w/ built in storage. 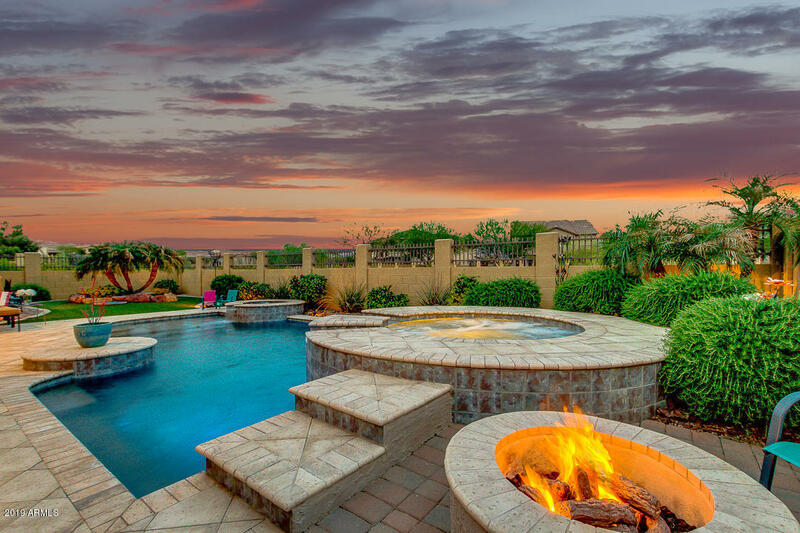 AZ living is all about the backyard! Pool, spa, gas fire pit beautiful mature landscaping backing to a private wash.Extended covered patio. sunset views!Clubhouse, pool & fitness center Mountain Bridge is gated master planned community in NE Mesa Foothills. Offers clubhouse, fitness center, pickle ball, tennis, and events for all ages. Close to the Tonto National Forest! Lakes, hiking, dining & shopping.